The Law Office of Stephen M. Forlizzi is a highly regarded firm in Danvers, Massachusetts. 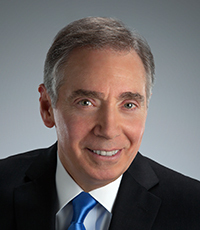 Attorney Forlizzi has over 35 years of experience in personal injury law in Massachusetts and is well known for fighting for his clients to obtain the best possible results. We offer comprehensive representation and give each case the attention and resources needed to help ensure a favorable outcome. 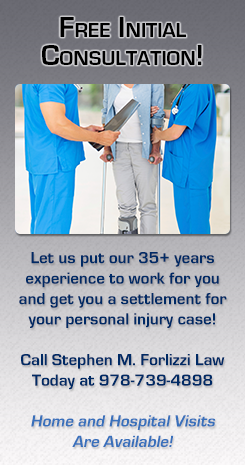 Our personal injury practice includes motor vehicle accidents, slip and fall accidents, work injuries, neck and back injuries, dog attack injuries, and more. Our firm gives each case our personal attention and the time needed to investigate the facts, gather evidence, and plan a course of action that will increase your chances of a favorable resolution. We are dedicated to the needs of each client and our proven track record of success is evident in the results we have been able to achieve for thousands of clients. We know that hiring an attorney for your case takes a lot of trust and you have to feel confident in your choice. We value that trust and will work in your best interest to ensure success. The Law Office of Stephen M. Forlizzi will always keep you fully informed about the status of your case. Our firm offers free consultations so we can hear the details of your case and give you the honest advice and guidance you need. If accepted, your case will be taken on a contingent fee basis, requiring no money down and no retainer fee. 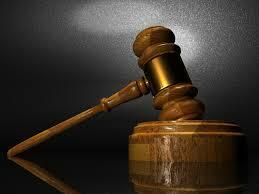 We are paid a fee for our services only if your case is successful.